This standoff system is a great marketing tool for any type of business. 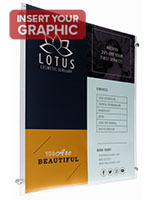 These acrylic frames can display flyers for sales, certifications, hours, menus, and much more. Some of the many types of businesses that use this standoff system are doctor's offices, retail stores, restaurants, schools, corporate offices, and spas. 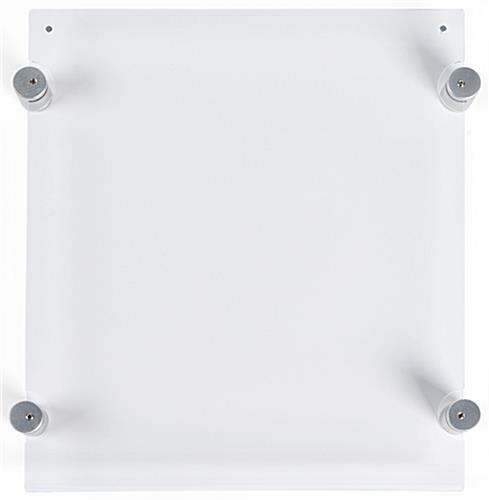 These sign holders come with all the necessary hardware for mounting on the wall. Each standoff system mounts easily on the wall. See the instructions below for details on how to hang the unit. This display is a standoff system for standard printer paper size. Any 8-1/2" x 11" print will fit in this holder when in portrait format. This standoff system, called an acrylic sign frame, is not designed for landscape orientation. The top of each display has (2) small magnets, one on each end to hold the unit closed. Each frame is a standoff system that is made for easy updates. 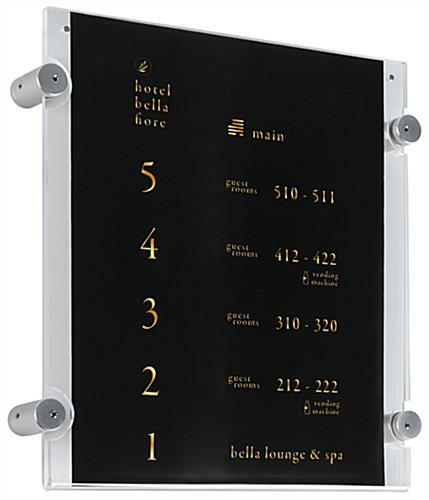 Users can switch out the signage without the hassle of removing the display from the wall. This advertising unit is a standoff system that is for business use, however they also look great in home offices with degrees. 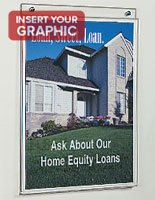 Each sign display is reasonably priced for all businesses, small and large. 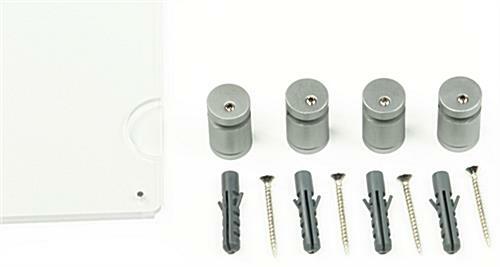 In addition, this holder is a standoff system that can be purchased in bulk quantities at an additional savings. 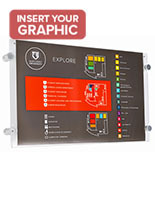 Each display is designed for ease of use. 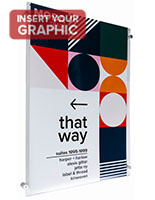 We use this sign holder in our lobby area, it looks and works out great! I highly recommend. Thank you for taking the time to recommend this sign holder, Laurie! If you post a photo of this sign in your lobby on social media, we would love to see it! Use the tag #displays2go and we'll be happy to share it with our customers for inspiration. Thanks again! This product was easy to install and looks great. 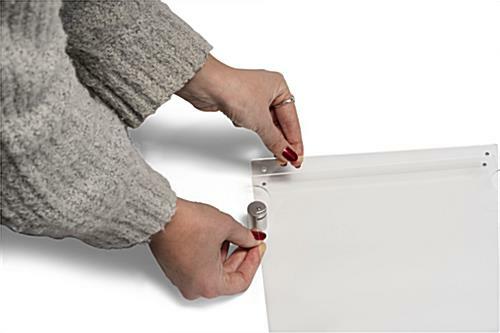 The acrylic is clear as glass and the magnetic holders secure the sign insert in place. My customer was very happy. Ordered this as well as it's larger sized cousin. We are so pleased with these holders and how clean and professional they look, that we will be ordering several more for an exhibition set up. We're so glad to hear these sign holders worked well for you, Amanda! We hope you shop with us again soon! Perfect product for the job. Looks nice, I will defenetly order it again. Also 5 stars service, the items were perfectly packaged and arrived on time. We recently purchased these sign holders for our children's ministry area at our church & love how they upgrade our look & how convenient they are to change signage for different events. Looks great, Terry! We're glad these sign holders work well for you!